Some activities have known hazards. When a person purchases services related to such activities, that person is often asked to sign a waiver releasing potential claims related to the service. Courts generally disfavor waivers that release a party from liability for its own negligence, but such agreements are enforceable if they are not contrary to public policy and clearly and unequivocally state an intention to release the defendant from liability from its own negligence. Waivers are often signed in cases involving recreational activities, such as skydiving and hang-gliding. A recent New York case, however, shows that the issue of waivers can arise in cases involving activities that are not obviously risky. 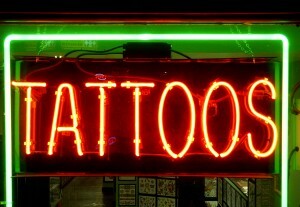 In Jackson v. Black Ink Tattoo Studio, Inc., the New York Supreme Court of New York County considered the validity of a waiver signed by a woman just before she received a tattoo. The plaintiff saw the defendant tattoo studio on a television program on which the studio represented that it specialized and had expertise in tattooing the skin of African Americans. She stated the defendants required her to sign a waiver just a few minutes before the tattoo artist began. She said she did not receive a copy of the waiver and it did not have a witness signature. She claimed she was not told that she was waiving claims against the defendants even if they were negligent, careless, or reckless. She said she told the artist that some colors do not show up on her skin, but he told her he had expertise in every color. She noticed that he spent longer working on an area in white ink than other areas. The plaintiff filed suit against the tattoo studio, the tattoo artist, and another, claiming permanent injury, including “deep tissue damage” and a keloid scar. She claimed the scarred area burned and itched, affecting her daily life. She alleged that the defendants were negligent, reckless or careless in applying the tattoo and in not obtaining her informed consent. The defendants moved to dismiss based on the waiver. The plaintiff had initialed each paragraph of the waiver she signed before she received the tattoo. The waiver stated that the person signing had been “informed of the inherent risks of a tattoo…” It went on to list several risks, including allergic reactions, infection, and scarring. The waiver further stated that the person signing wished to proceed with the tattoo knowing of the risk and would accept and assume all risks. The waiver further stated that the person signing waived and released, to the extent allowed by law, both the tattoo artist and the studio from all liability resulting from the tattooing, including those caused by negligence or fault of the tattoo artist or the studio. The plaintiff argued the language of the waiver was void because it was against public policy. She also argued that the terms were not specific enough to be enforceable. The plaintiff argued that because a waiver of negligence is disfavored, its terms are strictly construed against the party trying to enforce it. If there is no public policy against it, however, a waiver of negligence claims is enforceable if it unequivocally states an intention to release the defendant from liability for its own negligence. This waiver stated it applied to any damages arising from the application of the tattoo, including damages resulting from negligence or fault of the studio or the artist. “[N]egligence or fault” was underlined and bolded in the waiver. The court found the waiver clearly applied to the defendants’ negligence. The plaintiff argued that the waiver was insufficiently specific and did not reference the colors of the ink, the color of her skin, or the name of the artist. The court found, however, that she had made no showing that this information was required in a waiver. The waiver included the name of the studio. It specifically referenced the activities the studio was engaged in, tattooing and piercing, and noted which waivers were applicable to each of the services. The waiver was not rendered ineffective just because the plaintiff did not receive a copy. The plaintiff also made a public policy argument, contending that waivers of negligence claims are void where there is a state interest in health and welfare. She argued that health and welfare are implicated here because tattoo studios must be licensed and also fall under the city Department of Health and Mental Hygiene’s jurisdiction. The court noted, however, that cases voiding waivers due to an interest in health and welfare are limited to those in which enforcement would be unconscionable due to the plaintiff’s medical condition. Here, there was no medical condition that required the plaintiff to use the defendants’ services, so the court found no implication of health or welfare considerations. As to the plaintiff’s claim regarding informed consent, the defendants argued that there was no statutory requirement that they obtain informed consent but the waiver evidenced the plaintiff’s consent regardless. The court noted that there are healthcare professionals who are not named in the informed consent statute that are clearly required to obtain informed consent, but the plaintiff had offered no authority that would support a finding that tattoo studios are healthcare providers who must get informed consent. Furthermore, the waiver included warnings of the risks of tattoos. The plaintiff did not identify any specific hazards she should have been warned of, and the court found that her complaints fell under the warnings that were provided in the waiver. The court found that the plaintiff had not refuted the defendants’ showing that they had obtained informed consent through the waiver. The court granted the defendants’ motion to dismiss based on the above. Before signing any waiver, a person should be sure they understand the risks of the activity and exactly what rights are being waived. As this case shows, not all waivers of liability for negligence are against public policy. If the waiver is not against public policy, and its terms are clear and unequivocal, it is likely enforceable. Not all waivers are clear, however, and not all waivers waive all claims. If you have been injured by someone else’s negligence, a skilled New York personal injury attorney can review and evaluate any waiver you may have signed.